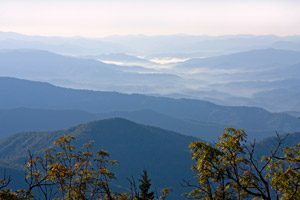 If you’re pursuing condo living in Blowing Rock, North Carolina, you’ll be interested in checking out The Cones. These properties offer a convenient location and plenty of amenities. You’ll find any and all available units on our site, as we feature a comprehensive list of High Country real estate. Refer to our detailed search and you can pinpoint precisely what you’re looking for. The Cones residences are within walking distance to the local favorite, Bass Lake, along with the Cone Estate hiking trails. If you’re an adventurer or the outdoorsy type, you’ll feel right at home here. These condos are also close to Downtown, making them an attractive option for many buyers. Are you looking for a unit that’s fully-furnished, one with plenty of outdoor spaces, or one that’s as private as possible? Whatever your preferences may be, you can be hopeful when considering The Cones real estate. The Mountain Group at Premier Sotheby’s International Realty encourages you to look at, at least, one or two more properties before settling on The Cones. We do this for every pursuit. Even if you’re sure, it’s never bad to have a little extra affirmation. If nothing else, you’ll simply appreciate even more what you found in a Cones condo. Blowing Rock, North Carolina is a desirable place to live. It’s a dream for many, both near and far. If you have the opportunity to move here, it’s worth every consideration. Condo living in Blowing Rock especially is a suitable lifestyle. If you want to learn more about this arrangement, we’ll gladly fill you in. Browse our site to uncover area information, a glimpse into our services, and homes for sale. You’ll like what you find from beginning to end. Let us introduce you to The Cones, beyond what you already know, and you can invest with confidence.